Elder law is not just an area of law of interest to seniors — everyone should work with an elder law attorney because attorneys in this field help you to be prepared for your future. An elder law attorney can assist you in saving for retirement, protecting your assets, planning for incapacity, and making a plan in case you need nursing home care. We can also help with estate planning issues and more. The plans that you need to make for the future will depend upon your family situation and your assets. If you have young children, for example, your focus may be on naming a guardian and ensuring your children are financially provided for if something happens to you before your children reach adulthood. If you are getting older, your focus may be on making sure you don’t go bankrupt if you need long-term care or other costly medical services. 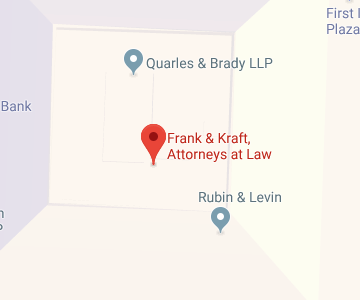 Frank & Kraft works with you to create a personalized plan that makes effective use of legal tools to take control of your own unique situation. You should give us a call today to find out how our Indianapolis elder law attorneys can help you. You can also use the resources below to learn about the field of elder law, to find out about some of the key issues your legal team can help you with, and to determine what you’ll need to do to prepare for your future. If you want to learn more about what elder law attorneys do, you can join us for a free seminar about the field of elder law and the services our attorneys offer to clients. There are also other resources available that can help you to discover some of the basics of elder law and that can assist you in learning more about why this field of law matters to your life — even if you are not yet a senior citizen. The American Bar Association’s Elder Law Page: This page provides general information on the field of elder law as well as details on hearings and advocacy taking place surrounding the issues that affect the field of elder law. The Commission on Law and Aging: This is a page that details the Commission on Law and Aging, which is an ABA advocacy group aimed at helping to strengthen the legal rights, dignity, and autonomy of people who are aging. The American Academy of Estate Planning Attorneys: The American Academy of Estate Planning Attorneys is a top source to find elder law attorneys. Attorneys who are Academy members are required to demonstrate their expertise in the field of elder law and are required to undergo routine continuing education to stay up-to-date on elder law issues that can affect people who are aging and their families. Finding a skilled elder law attorney who has kept up-to-date on industry developments is vital so you can make smart plans for securing your future. Medicaid planning is one of the most important things that Indianapolis elder law attorneys do to help clients. Medicaid is typically the only option for paying for nursing home care or long-term care, other than paying out of pocket, since Medicare and private insurers don’t cover most nursing home care. This means you need to understand how to qualify for Medicaid and make a plan to protect your assets to get benefits since Medicaid is a means-tested program. Indiana’s Medicaid website: This website provides information for Medicaid members, as well as details for Indiana residents on how to get covered and the services that Medicaid can provide. Indiana’s Medicare website: You can learn about what Medicare is, how Medicare works, and important limitations of Medicare such as rules for when Medicare covers skilled nursing care. Because Medicare pays for nursing home care in so few situations, you could be forced to impoverish yourself if you need nursing home care and you cannot get Medicaid to pay for it because you have too many assets. It is best to act well in advance of the time care is needed so you can get covered without having to spend all of your assets on the costs of your nursing home. However, Frank & Kraft can also help with crisis planning if you need care imminently and want to preserve as much of your wealth as possible. The IRS website on IRAs: You can find out contribution limits for IRAs and details on when you can contribute to an IRA based on your income level. Frank & Kraft will advise you on how to invest for retirement and how to protect your growing nest egg as you prepare for your future. While you can learn about key issues on your own, you should work with an elder law attorney for help in making and carrying out your plans for the future. You don’t want to make mistakes when it comes to something like protecting your assets from being lost if you need nursing home care since these errors often will not be discovered until it is too late for you to correct them and your assets are at risk. An experienced attorney helps you to avoid problems and pitfalls and actually put the right plans in place. Frank & Kraft can work with you to make smart effective use of legal tools so you’ll make comprehensive, complete plans to protect yourself, your assets and your loved ones in the future. To find out more about the elder law services that we provide to you, join us for a free seminar. You can also give us a call at 317-684-1100 or contact us online today to find out more about what our legal team can do for you.